The downside of weight loss is not being able to fit some of my favorite thrift finds. 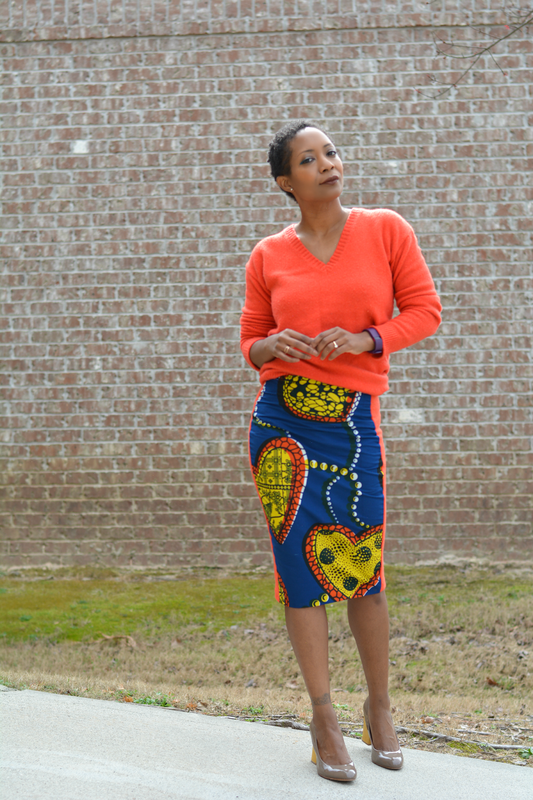 I loved the bright color on this orange vintage skirt. I rarely wore it because it was a little big and I needed to adjust the waist. Three years laters that's what I did. Going down two sizes made it completely unwearable as is. 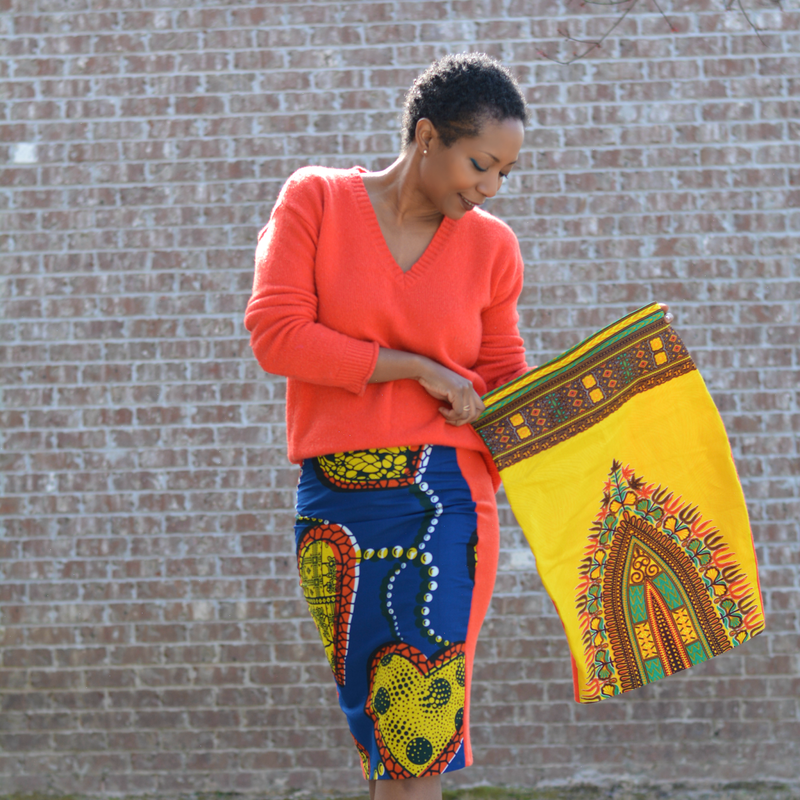 Not only did I fix it but I made two ankara print skirts out of it! Here's how the magic happened. 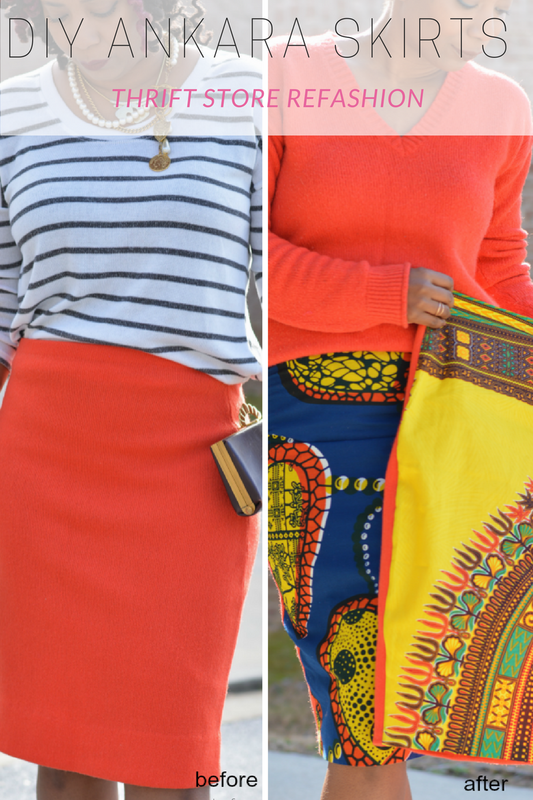 Both skirts are a mix of african prints and my vintage skirt. I love that I was able to get two completely different skirts. 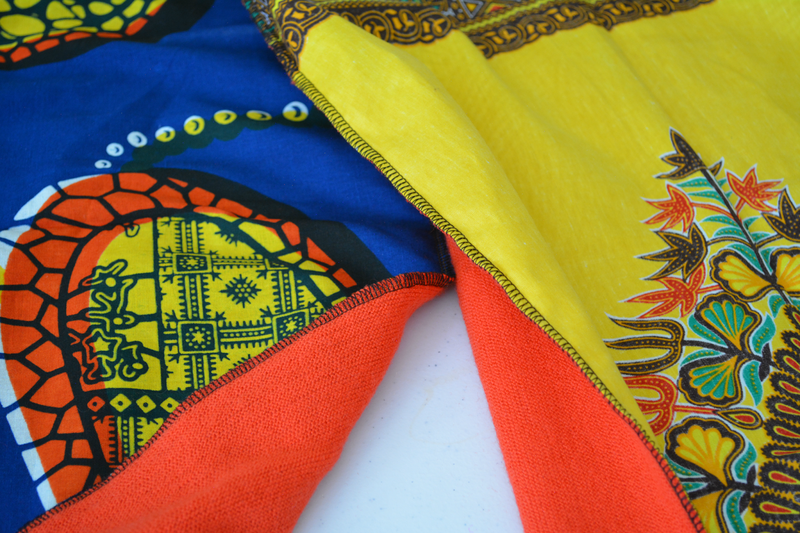 One with a bold front (or back if you prefer) and then the basic solid color in back. Step 1: Rip or cut away the side seams of skirt and waist / hem seams. Step 2: Measure hips and cut a fabric rectangle. Width is hip measurement. Length is same as deconstructed skirt. Step 3: Fold fabric in half lengthwise. Step 4: Fold deconstructed skirt in half and place it on top. Use as template to cut fabric. 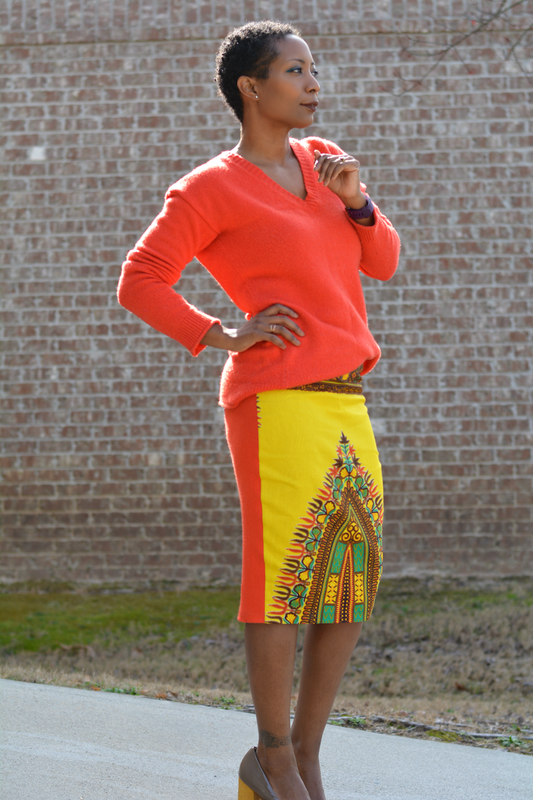 If you need to downsize size, use a similar fit skirt as an additional template. Step 5: Sew the side seams. Restitch the waistband. Finish the hem. 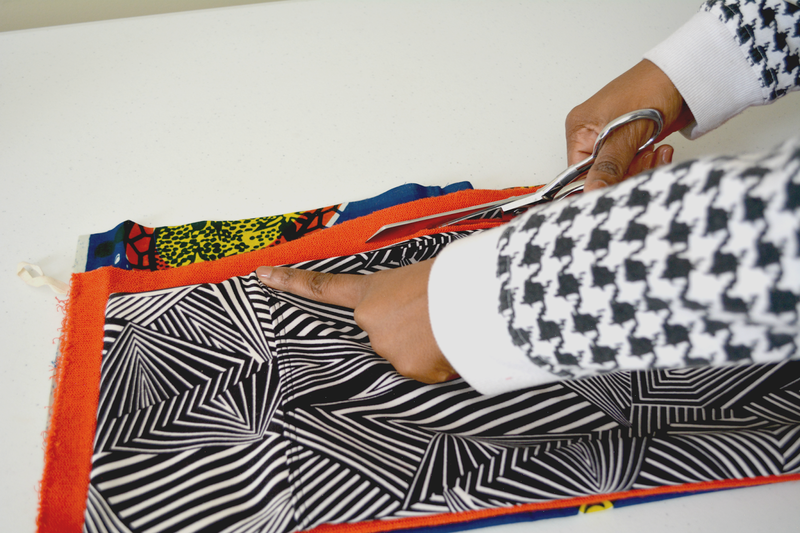 Step 6: Repeat for a second skirt! Is this a diy you would try?